There's no better time to sell your home on the Central Coast! Are you thinking about selling? I know I can get you the very best price for your home. I have the privilege of working with great sellers in San Luis Obispo County. They are all experiencing the benefit of selling their home in this market. 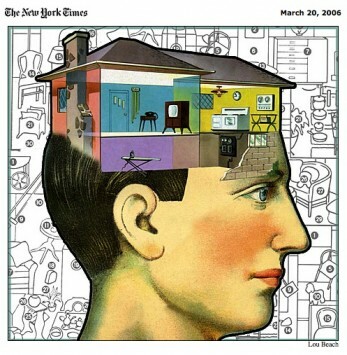 The buyers looking to buy your home are looking for great homes in this amazing time of extremely low interest rates. Many buyers have waited to purchase till now. With rates being low, buyers can afford more home for their dollar, making it the best time for them to buy. What's the benefit for you as a seller in this market? You get the benefit of multiple offers, a large pool of buyers looking and bidding on your home. The low inventory of today's market gives the seller the advantage to pick and choose the highest and best offer on their property. This can produce above asking price offers and a bidding war to get your home. When you are contemplating putting your home up for sale, call or email me today to begin the process. I will get you to your goals of selling your home. Looking for a San Luis Obispo Sellers Agent? Looking for a San Luis Obispo Sellers Agent? ... Well look no further! I look forward to meeting you and exceeding your expectations in selling your home. Property in San Luis Obispo County is always desirable. 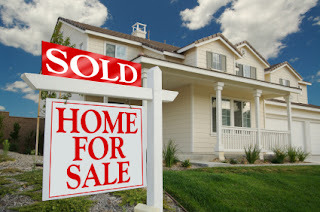 If you are thinking about selling your home I know how to sell your home quickly and for top dollar. Contact me to learn more. Today savvy buyers are searching the internet looking for great homes to buy. Inventory is low for our Summer Season but there is a flurry of buyer activity looking to buy your home. Now is a great time to put it on the market. Sellers are seeing multiple offers on their homes with typically the home selling for above the asking price. Our distressed property inventory is slowing down and buyers have less homes to choose from, creating this frenzy of activity. Weather you are looking to down size your home or looking to expand your square footage, I know how to sell your home to get you to your goals. Give me a call or email me today to learn more. Visit my website and use my resource tools. Again... 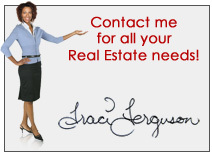 I look forward to meeting you and exceeding your expectations in selling your home. 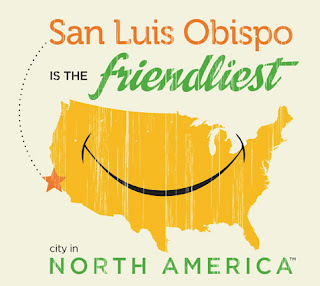 San Luis Obispo is the friendliest place to buy a home? 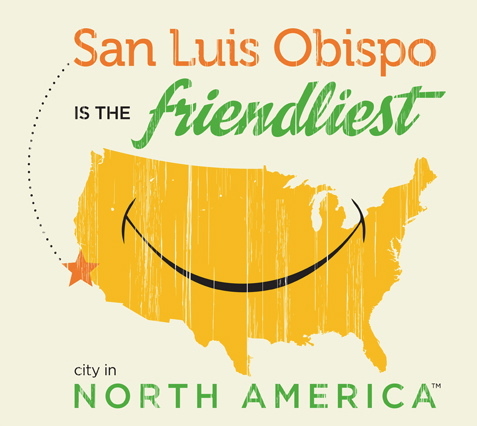 Thanks to a Nationwide vote for the Friendliest City in North America by Rand McNally... San Luis Obispo was voted as the Friendliest! 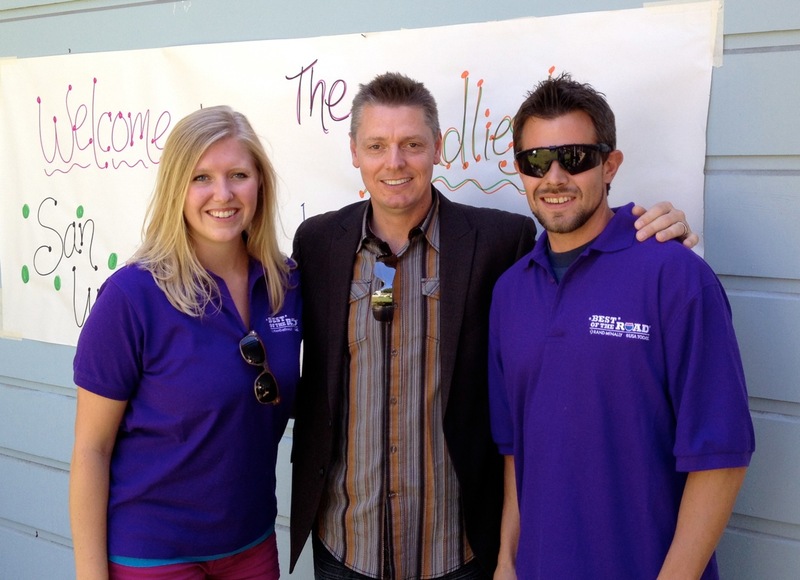 The San Luis Obispo Chamber greeted the team coming to our friendly town. My wonderful husband, Rich Ferguson, was one of the first people to greet them. As most of you know, last September San Luis Obispo was voted The Happiest Place In America. Our city is growing in popularity since this award and we are continuing to be a thriving city. Homes in SLO County are continuing to sell at quick rate and inventory of homes is the lowest it has been in years. Currently our inventory is 30% below last years average, making this Summer a sellers market for some areas in our County. Buyers continue to move here and buy investment property here. If you are in the market to buy or sell your home, now is a great time to give it a shot!